Are you brand new to yoga? Or are you returning to your yoga mat after some time apart? Good News: You are in the right place! 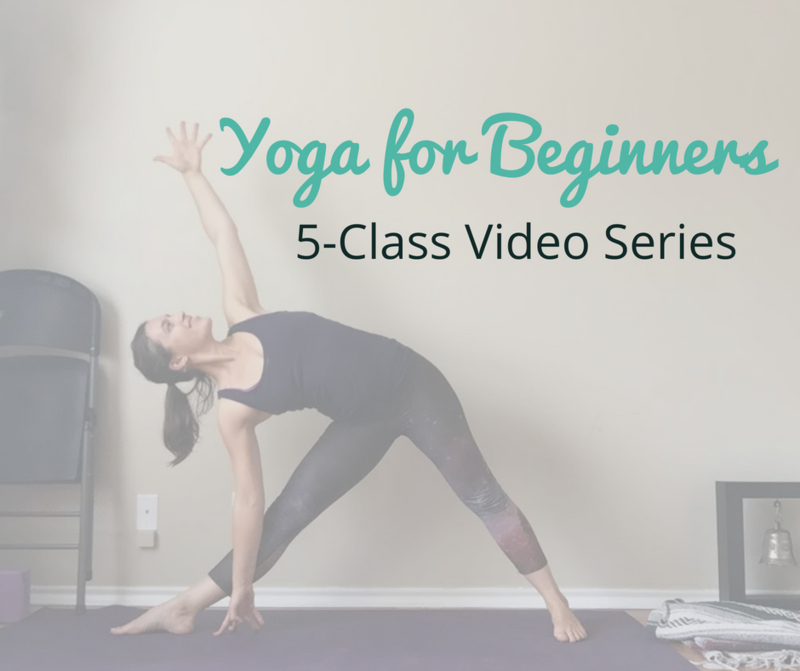 I have a 5-class Yoga for Beginners series just for you. You can think of this series as going on a few dates with yoga to see if yoga is a good fit for you. This series will help you lay the foundation for your yoga practice so that you can start (or restart) your brand new relationship with yoga. Best part: These yoga dates are my treat! You can start your yoga practice totally for FREE! No strings attached. Just some good, clean fun with your new BFF, yoga. All you’ll need for these classes is a yoga mat. If you have other props, that’s awesome. They might come in handy, too. If you don’t have a yoga block or blanket, yet, no worries. You can use a sturdy water bottle or a stack of books for the block. And you can use a thick towel or a pillow for the blankets. The classes are all about 15-minutes long, so you should be able to squeeze them into your busy day. Expect to laugh a little and maybe sweat a little, too. So are you ready to go on your first date with yoga?